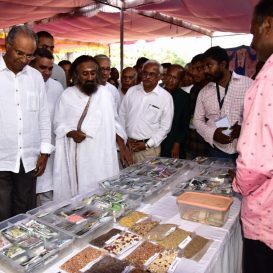 Over two thousand farmers from 8 Indian states met at the Desi Beej Mahotsav (Native-Seed Convention) to exchange knowledge, interact, know about Desi (Native) seed varieties and to learn how growing them can be turned profitable, to beat the monopoly of companies making hybrid seeds. 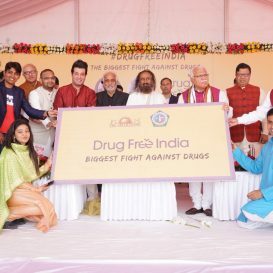 The Drug Free India movement against drugs has already taken social media by storm with more than 90 eminent personalities from the field of films, sports, politics and business having poured their support for the campaign. 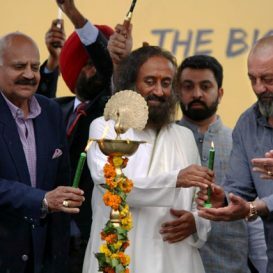 The grounds of Chandigarh University reverberated with the chants of ‘Na Karunga Na Karne Dunga’ (Will Not (Do Drugs) And Will Not Let Anyone Do It) on a drizzly Monday morning, where 25000 students turned up to be the part of the launch of Drug Free India, one of the many Art of Living’s initiatives towards de-addiction. 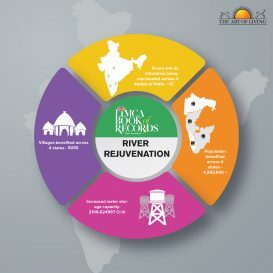 The Art of Living has been included in the Limca Book of Records 2019 for the ‘Most extensive river rejuvenation by an NGO’ for the its effort to resolve the country’s severe water problem by reviving 40 rivers and its tributaries in four Indian states and making more water available by raising the water table especially in drought prone regions, benefiting 49.9 lakh people in over 5000 villages. 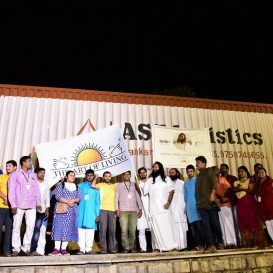 Large numbers of Art of Living volunteers kicked off the #SHS2018 campaign by organising cleaning drives across the country. 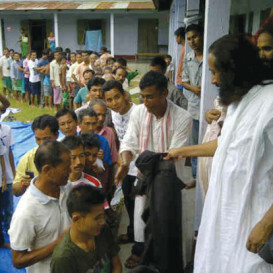 Art of Living Foundation has announced its helping hand in the rehabilitation and sustainable development of selected tribal settlements and an urban locality in Kerala which have been devastated by the recent floods. 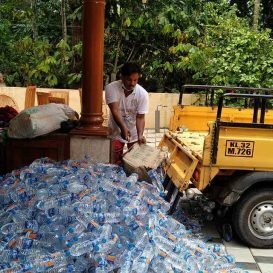 More trucks with relief material for Kerala are scheduled throughout this week. 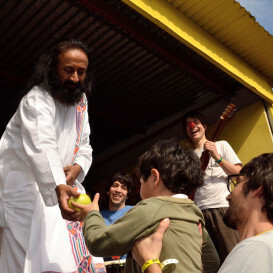 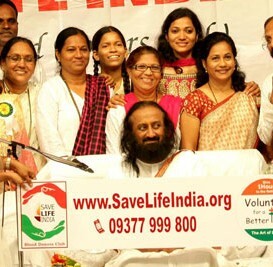 The Art of Living has set up collection points across several cities. 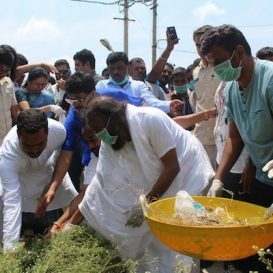 The Art of Living in association with Rural Development and Panchayati Raj (RDPR), Department of Karnataka launched the Cauvery Rejuvenation Project in Kodagu. 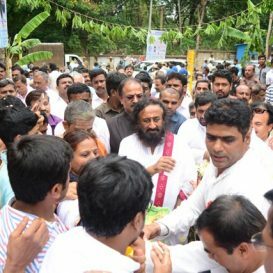 Sri Sri interacted with farmers, professors, students and parents during his tour of the northern districts of Karnataka, India. 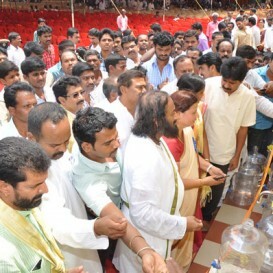 He also visited the Vedavathi River rejuvenation site in Chitradurga district of Karnataka. 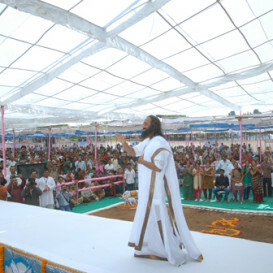 Sri Sri Ravi Shankar met the victims of the flood-affected regions of Thara and Dhanera at Banaskantha in Gujarat. 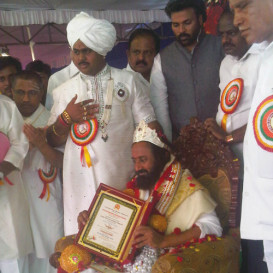 Gurudev Sri Sri Ravi Shankar Wednesday visited the sites in and around Chikmagalur. 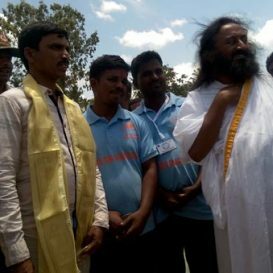 He met and shared the joy of the farmers and village folk who have already started benefiting from the Vedavathi River Rejuvenation project, which began in 2013. 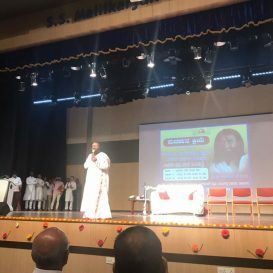 Gurudev Sri Sri Ravi Shankar inaugurated "Kshema", a telemedicine clinic providing access to world-class healthcare for the rural population. 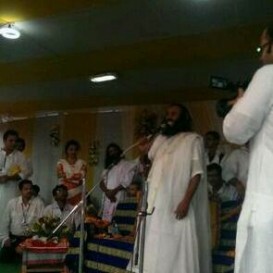 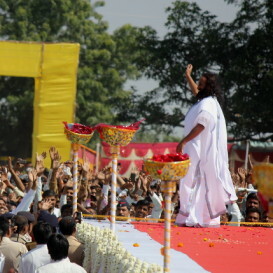 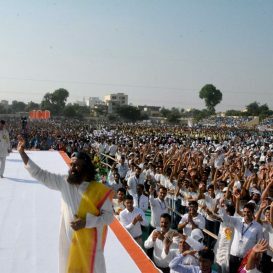 Gurudev gave a message of patriotism and optimism to 100,000 youth gathered to see him in Kota. 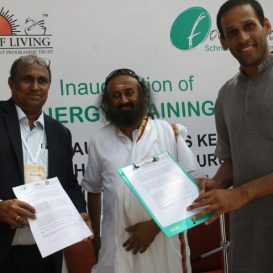 The Art of Living's Sri Sri Kaushal Vikas Kendra for Renewable Energy, a skills training center was opened in the presence of Gurudev Sri Sri Ravi Shankar, Founder, The Art of Living in association with technology partner, Schneider Electric in the premises of The Art of Living International Center. 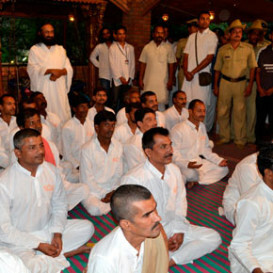 Approximately, 1800 centers across India had organized The Art of Living's signature Happiness programs with Gurudev. 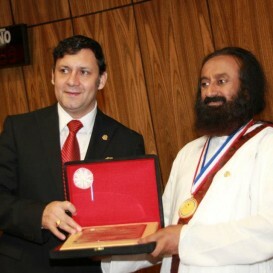 This is the first time he is teaching the Sudarshan kriya online, since the inception of The Art of Living. 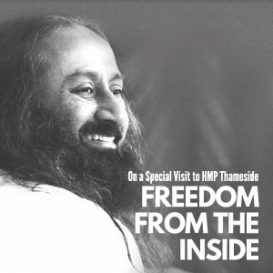 Sri Sri Ravi Shankar, well recognized worldwide as a teacher and leader in humanitarian projects specializing in Prisoner Rehabilitation, Trauma Relief, and Conflict Resolution, visited HMP Thameside for an interactive exchange with over 100 prisoners and 25 staff there. 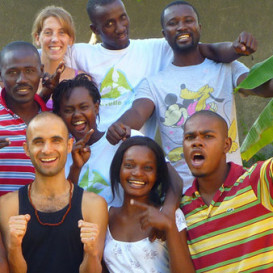 His innovative Prison SMART program has been conducted there for 4 years and evaluated with extremely positive outcomes impressing both staff and prisoners alike. 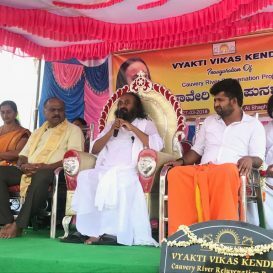 Art of Living Founder and Spiritual Leader Sri Sri Ravi Shankar today inaugurated a ‘Smart Village’ project in Sadarahalli village, Chikmagalur district. 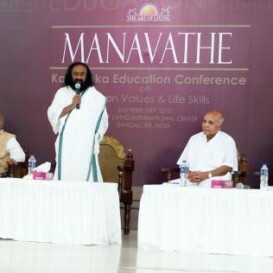 Eminent academicians from across the state congregated at The Art of Living International Centre, Bengaluru to attend ‘Manavathe 2015’ – a Karnataka Education Conference on 21st February, 2015. 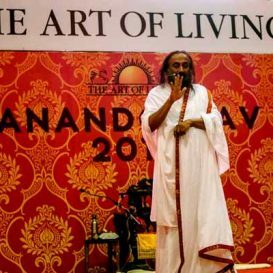 Organized by The Art of Living, the conference drew attention to the importance of incorporating human values, life skills training, Yoga and meditation in the current education system of the country. 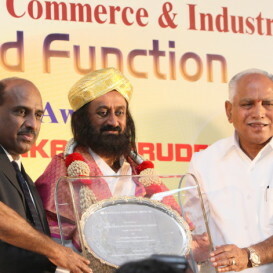 With an aim to enhance and maintain the sustainability and prosperity of Agriculture in Karnataka, 1500 farmers from across the state gathered at The Art of Living International Centre to attend the ‘Karnataka Organic Farmers Convention’. 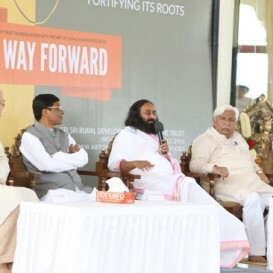 Skilling India and fortifying its roots were the two issues highlighted at ‘India Way Forward’, a National Conference held on January 16th, 2015 at the Art of Living International Center, Bengaluru. 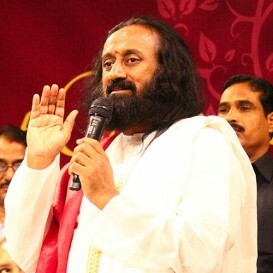 The Art of Living’s Sri Sri University celebrated the graduation day ceremony of the pilot batch of graduates of the MBA Program 2012-2014 in Bhubaneswar, Odisha on September 3, 2014. 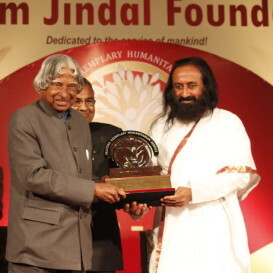 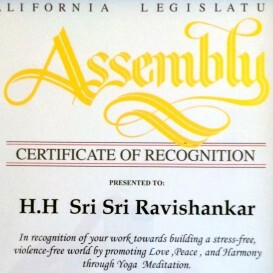 Sri Sri Ravi Shankar received a Certificate of Recognition from the California Legislature Assembly on June 30, recognizing the efforts towards building a stress-free world by promoting love, peace and harmony through yoga and meditation. 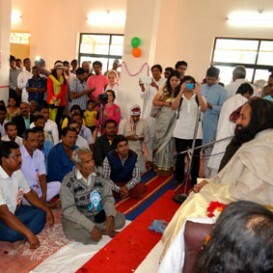 Sri Sri Ravi Shankar addressed the inaugural ceremony of the Sri Sri Gnan Mandir, a free school, in Bhunbaneswarnagar, Kachar Dist, Assam. 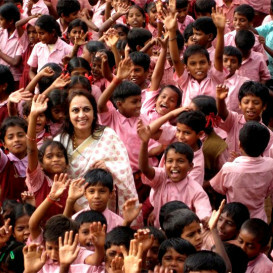 This schools will educate over 400 children for free. 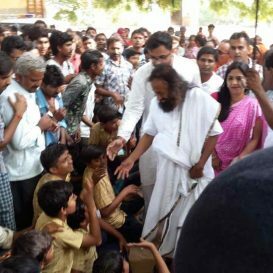 The next day, Sri Sri met children from two of Art of Living’s free school's from Nalbari and Barduarbagan near Guwahati. 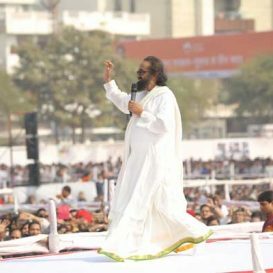 Citizens of Kolkata turned out in thousands to welcome the Art of Living Founder, Sri Sri Ravi Shankar on April 8th, 2014. 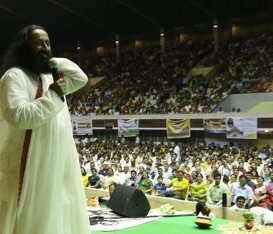 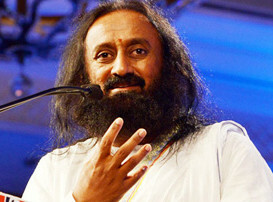 Sri Sri interacted and addressed more than 10,000 enthusiastic volunteers that morning, in Netaji Indoor Stadium. 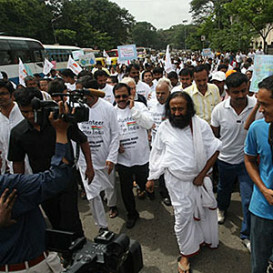 They had worked dedicatedly for the Volunteer for Better India (VBI) Campaign with the aim of raising public awareness for exercising one's vote. 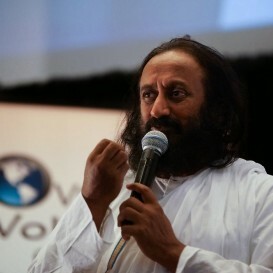 The ‘Big Ideas for a Better India’ event brought together key influencers of the NRI community from across the United States. 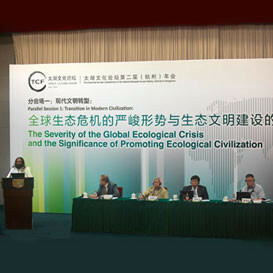 Over 100 Indian leaders from 25 major cities discussed solutions directed towards institutional and technological co-operation in India. 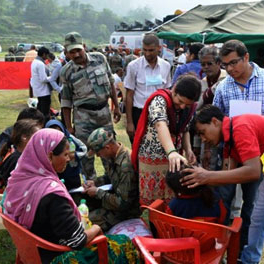 Participation in the electoral process in the Indian sub-continent was another area of emphasis. 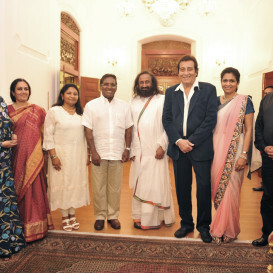 Inspiring Bangaloreans to participate in the Kumudvathi River Rejuvenation Project and solve the water crisis the city has been facing. 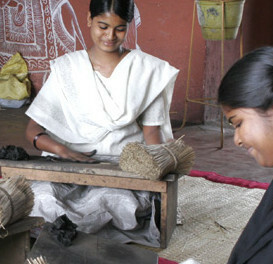 The Care for Children program supports 618 schools serving over 67,887 children.